If you’re suffering from a pinched nerve, chiropractic treatment from Dr. Cain could potentially help you find relief from your pain. Dr. Aaron Cain is a chiropractic doctor who is specially trained in nervous system issues and can offer drug-free, non-surgical, non-invasive techniques to treat your pinched nerve without all the inherent risks of pharmaceutical or surgical approaches. To understand how a chiropractor can help you, it’s best to understand the common origins of a pinched nerve. Pinched nerves are usually caused by a bony impingement, meaning there might be a joint that is pressing on the nerve, or by a bulging disc, herniated disc, or tight muscles. This could have resulted from improper posture, lifting heavy items or reaching for something in an awkward manner. Since the nervous system, i.e., your nerves, is interconnected throughout your entire body, a pinched nerve in your neck, for example, may radiate down your arm or even down your leg. Your pain will not always be localized. If you’re like most people, you’ll try to treat the symptoms of a pinched nerve yourself by taking pain relief medication and hoping the discomfort eventually goes away. 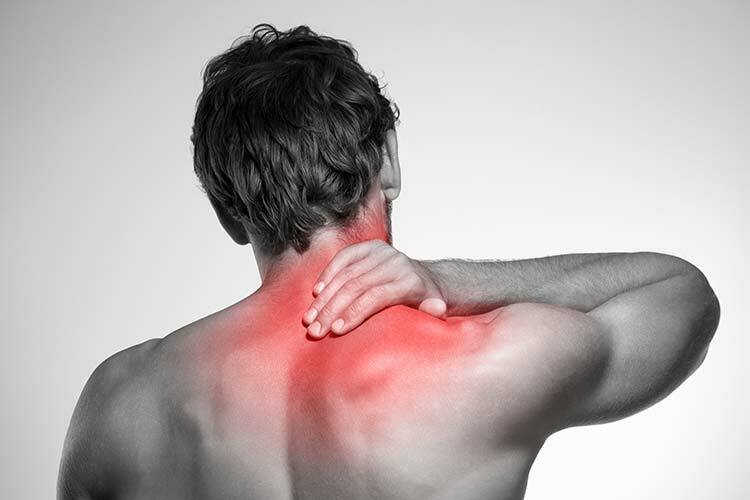 When left untreated, however, pinched nerves can cause extreme pain, reduced mobility, and inflammation. Fortunately, you don’t have to live with this pain. When you visit with Dr. Cain, he’ll examine your back and note any misaligned vertebrae, also known as subluxations. When these vertebrae are out of place, they can put intense pressure on the nerves in the spine – the cause of a pinched nerve. If Dr. Cain notices any subluxations, the chiropractor will prescribe a treatment plan, which will typically include spinal adjustments, lifestyle modifications, and massage therapy. For spinal adjustments, Dr. Cain will use his hands or a device to apply controlled, gentle, non-invasive force to put misaligned vertebrae back where they belong. The amount of force applied depends on the form of adjustment used. Once the spine is aligned, nerve blocks are removed allowing blood to bring oxygen and other nutrients throughout the body. This improved circulatory function can help relieve your pain and boost your immune system. Regular visits with Dr. Cain may also help your pinched nerve heal faster and prevent future damage. Many studies, including those done by the American College of Physicians and the American Pain Society, have concluded that spinal adjustments are safe and as effective as conventional treatments, such as medication, in reducing low-back pain intensity and disability. Better still, spinal adjustments while effective is a drug-free, non-surgical, non-invasive approach. If you’re suffering from a pinched nerve, don’t live another day in agony. See a chiropractor like Dr. Cain who can apply a natural approach to cure your pain through techniques like spinal adjustments without the use of prescription drugs. Once you experience how your body responds to professional spinal adjustments, you’ll wonder why you waited as long as you did.